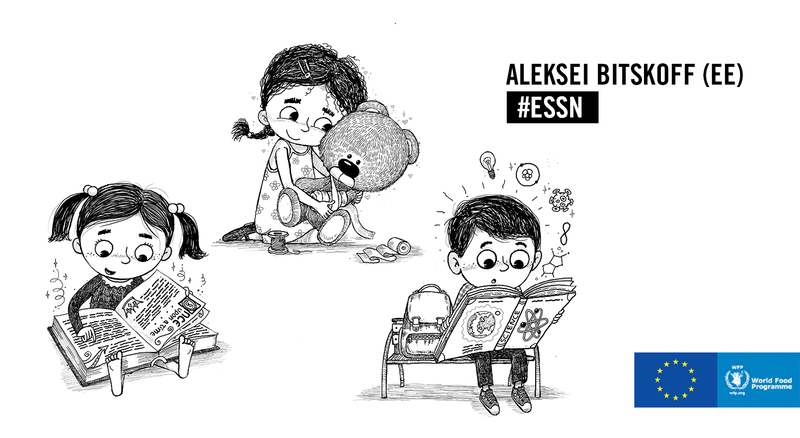 The Emergency Social Safety Net (ESSN) is a programme that provides cash to the most vulnerable refugee families living in Turkey. They can spend the cash on whatever they decide is most important. It could be food, fuel, rent or medicine. What is the ESSN card? 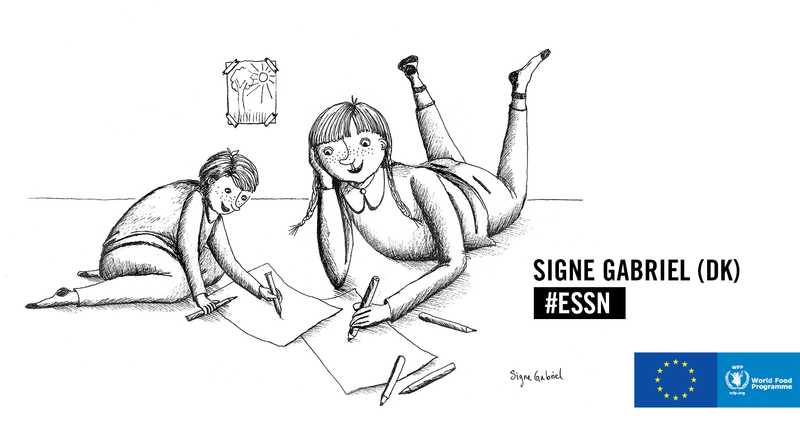 The ESSN card is a debit card through which refugee families receive a fixed amount of money every month to help them cover their essential needs. The ESSN programme is the result of a partnership between the European Union and Turkey, implemented by the World Food Programme and the Turkish Red Crescent, working with Turkish government partners. the impact of these essentials through a child’s eyes. 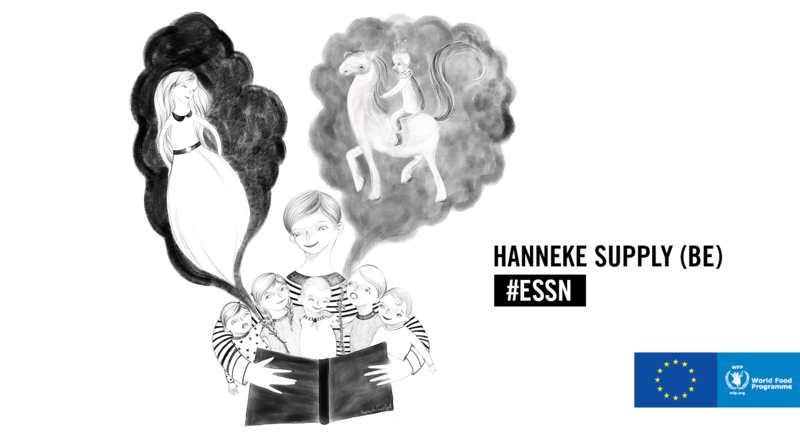 A simple book transports a family to a fantastical world in illustrator Hanneke Supply’s take on this family’s nightly story time routine. 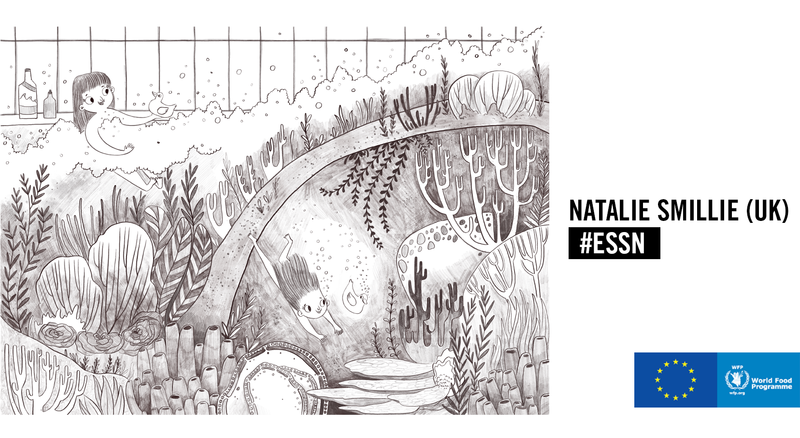 A rubber duckie bath toy serves as gateway to an underwater paradise in this sketch from Natalie Smillie, illustrator of Ninja Nan. 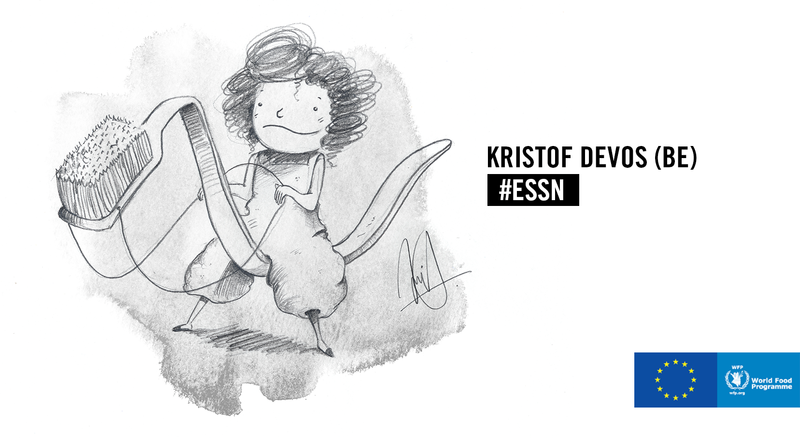 Kristof Devos takes us into the imagination of a child whose morning and evening routine start with a toothbrush but end with an amazing adventure. 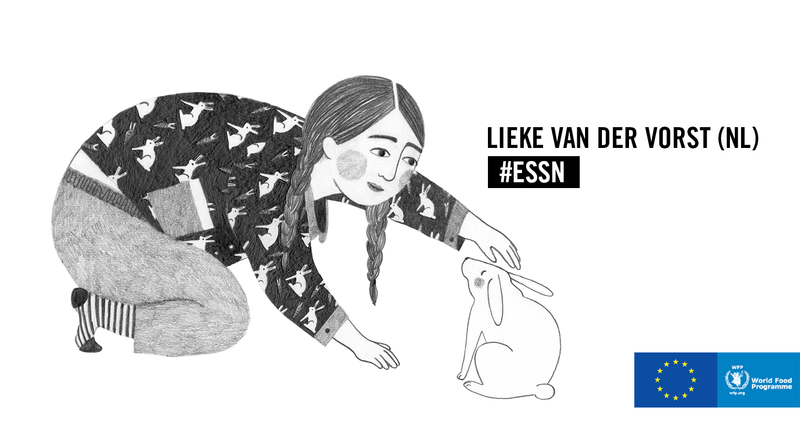 The print on this little girl's pyjamas reminds her of the fun times spent with the pet she had to leave behind, in this sketch by Lieke van der Vorst. 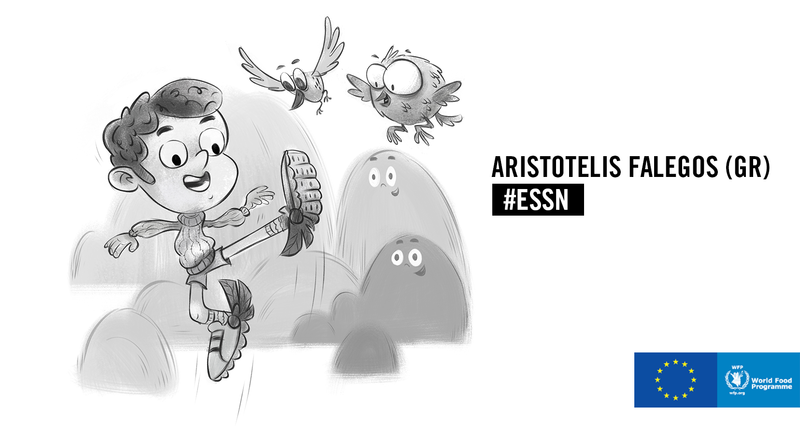 Aristotelis Falegos shows how a pair of shoes allows this boy to fly to heights he can only dream of. These children’s eyes say it all as Aleksei Bitskoff shows us what these simple objects really mean to them. Signe Gabriel offers a no-frills take on how something as simple as coloured pencils can help recall a memory that no photo could ever do justice. 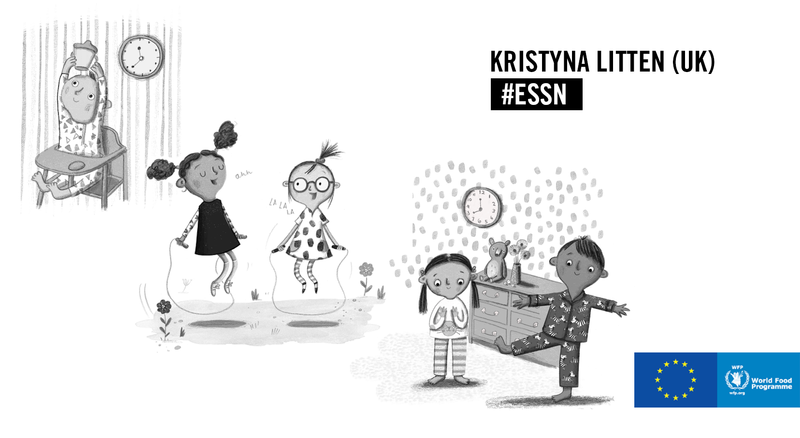 Author and illustrator with Eastern European heritage, Kristyna Litten takes us through the comfort of morning and evening routines provided in part by a sip cup and pyjamas with some jump-rope fun in between. 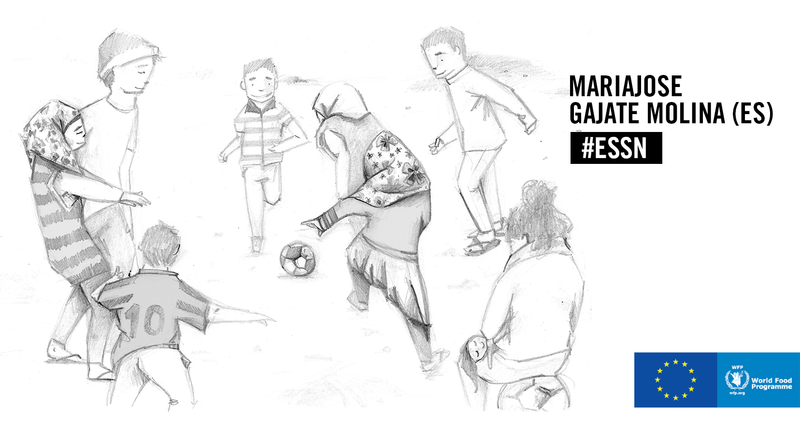 Mariajose Gajate Molina shows how outdoor activities such as football have the power to bring children together for a true moment of excitement. 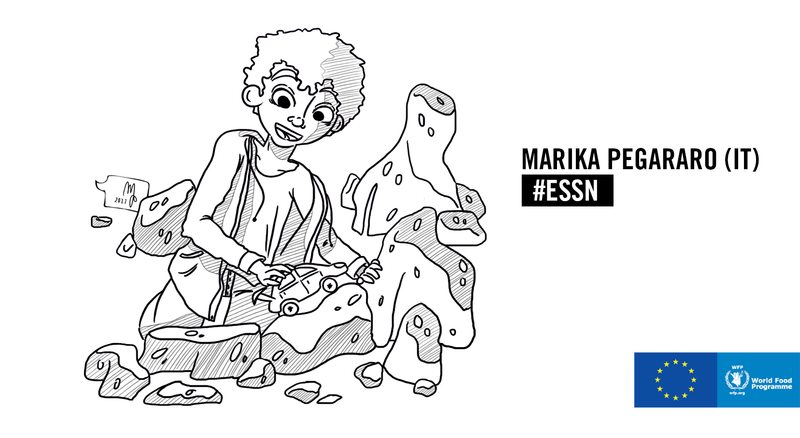 Marika Pegararo shows us what joy simple toy car provide even through the ups and downs of life. 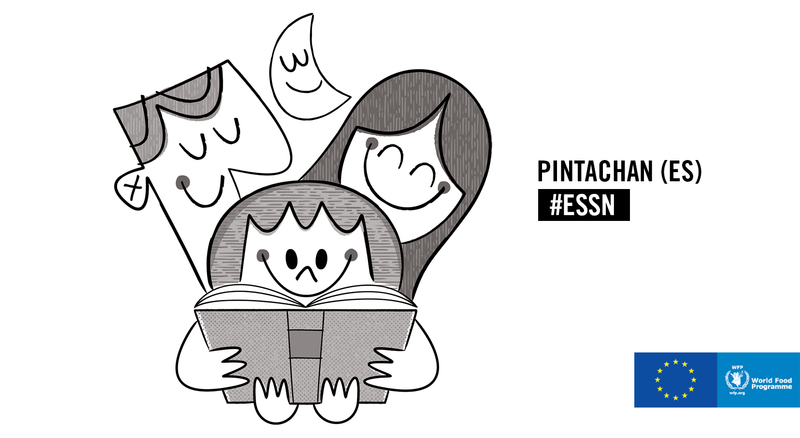 Pintachan brings us back to childhood memories by encapsulating the joy of reading bedtime stories. Imagination empowers children to think of the unthinkable. 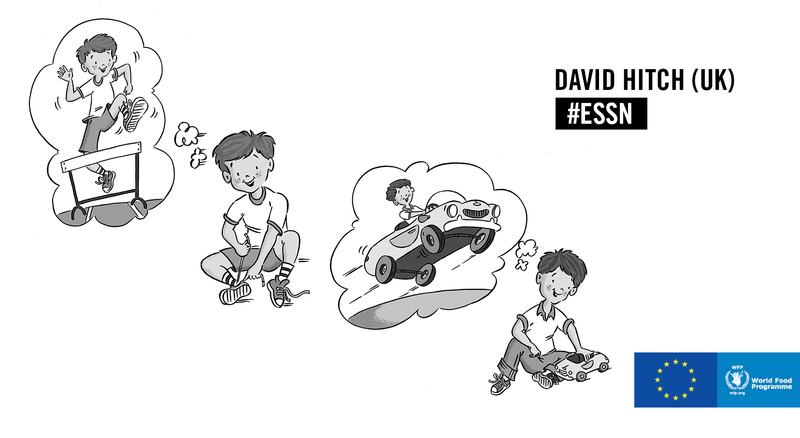 With this drawing by David Hitch, a pair of sneakers and a toy car are far more than simple objects. Are you a refugee wanting practical information on ESSN assistance?